Home Content Database PowerShell SharePoint SharePoint 2007 SharePoint 2010 SharePoint 2013 SharePoint 2016 SQL Server How to Set SharePoint 2013 Content Database to Read Only Mode using PowerShell? How to Set SharePoint 2013 Content Database to Read Only Mode using PowerShell? 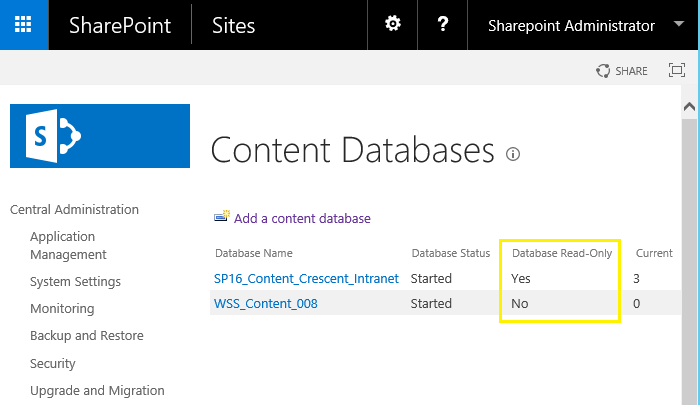 Requirement: Set content database to read only in SharePoint 2013 using PowerShell. Solution: We may have to set SharePoint databases to read-only mode in scenarios such as: upgrades, disaster recovery / highly available maintenance, patching, etc. Setting SharePoint content database in read-only mode from SQL Server Management Studio is explained in my another article: How to make SharePoint database read only. This time, Lets make content database read only using PowerShell. Tips: Use Get-SPContentDatabase | Select Name to get all SharePoint content databases! Prerequisites: Make sure you have SQL Server Management studio installed in your server/workstation to use below script! #You may have to adjust the below path according to your SSMS version! Add-Type -Path "C:\Program Files\Microsoft SQL Server\130\SDK\Assemblies\Microsoft.SqlServer.Smo.dll"
This makes read only content database in SharePoint. To verify, You can navigate to SharePoint 2013 central Administration >> Application Management >> Manage Content Databases >> Check the " Database Read-Only " flag! 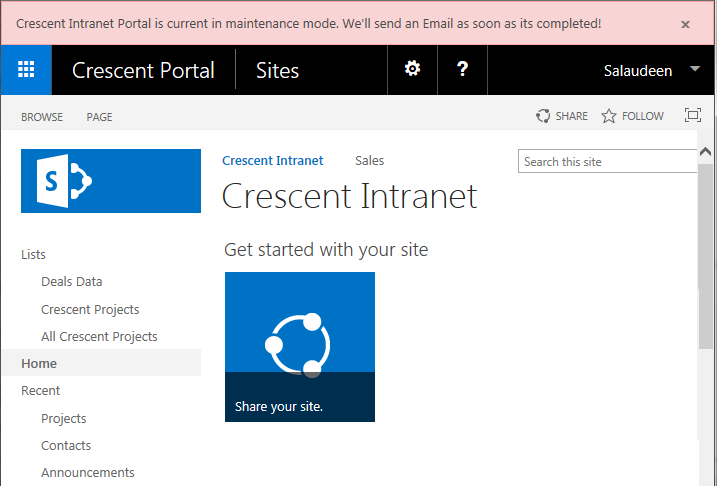 and if you navigate to any of the site collection which lives in the above content database, you'll find the maintenance mode notification in SharePoint 2016 sites!